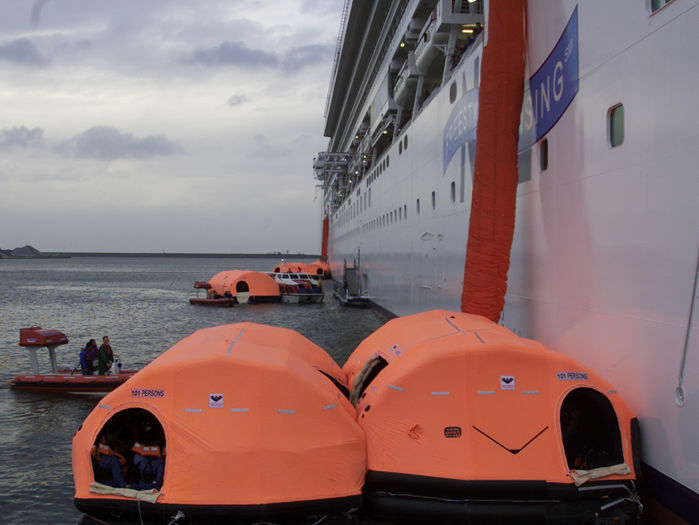 VIKING’s evacuation chute systems are the ideal solution for high-sided passenger vessels, which need evacuation systems that deploy quickly and easily to provide safe evacuation within 30 minutes. The fully enclosed chute lined with DuPont™ Kevlar® ­is fire retardant and protects evacuees from severe weather conditions during descent. 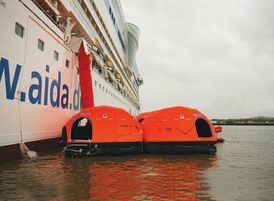 It also compensates for ship and sea movement during evacuation for safe transfer into the system liferafts. The VEC can be installed anywhere on-board; on open deck, between decks in an open recess or built into the ship’s side. Additional liferafts can be stored in remote locations and released by pump at the evacuation point. The compact nature allows for fast and easy removal for servicing.